Midwest golf fans have been blessed to have a front row seat at a series of recent major tournaments (2015 PGA Championship, 2016 Ryder Cup, and the upcoming U.S. Open to name a few). The region is also home to a collection of Symetra Tour events that showcase the finest up and coming women with LPGA aspirations. “The LPGA Tour has always had a strong following in the Midwest, but not every community has the corporate sponsorship base to be able to support an event of that size,” began Symetra Tour Commissioner Mike Nichols. “The Symetra Tour becomes a nice alternative for these communities – it’s just a matter of making the effort to identify where the interest lies and making the connections. The success of the Symetra Tour in adding Midwest events in recent years has mostly been a result of a concerted effort of spending the time to identify prospective partners here,” concluded Nichols. Thanks in large part to the partners Mr. Nichols alluded to, The Symetra Tour, the official Tour Qualifying School of the LPGA, is once again in a Midwest state of mind in 2017. Of their 22 scheduled events, seven will be contested in the Midwest with two more in nearby Kansas and South Dakota. The combination of ideal summer weather, solid fan support, and upper-echelon course venues form the perfect storm for promoting this rising tour and allow The Symetra Tour to continue its strong growth pattern. According to Commissioner Mike Nichols, the quality of the host courses is a key component of why they continually go back to the Midwest. “As the Official Qualifying Tour of the LPGA, it’s important that the Symetra Tour identify the players most likely to find success once they reach the main stage, and the best way of doing that is by making sure the golf courses are LPGA Tour caliber. Regardless of whether it’s in the Midwest or elsewhere, we’ve been very conscious to make sure that the golf courses we add to the Symetra Tour will mirror the same challenge and quality as players will find once they make it to the LPGA,” explained Nichols. At the heart of the Symetra Tour’s 2017 campaign is a season within a season, The Potawatomi Cup. The Cup includes four Midwestern events and awards Symetra Tour players a bonus based on performance at the events sponsored by four Potawatomi nations’ casinos. This year’s total bonus money of $40,000 is up for grabs starting at the Four Winds Invitational June 9th-11th and concludes at The PHC Classic August 4-6th. For a summary of each Midwest tournament please see the below information. Summary of Last Year’s Tournament: In 2016, Jackie Stoelting carded a 5-under 67 to win her second consecutive Symetra Tour event on Sunday at the Four Winds Invitational. Stoelting, who entered the day five shots off the lead, played the back nine in 33 to finish at 7-under, 209, which was one shot better than Ally McDonald. Interesting Tournament Fact: One of the top players in the world, Brooke Henderson, won the Four Winds Invitational as a sponsor’s exemption in 2015 and that win sparked her brilliant professional career on the LPGA TOUR. Summary of Last Year’s Tournament: In 2016, Clariss Guce made birdie on hole 14 and closed with four pars to win the Decatur-Forsyth Classic by two shots at 10-under, 206. The rookie carded a 1-under, 71 on Sunday at Hickory Point Golf Course to earn her second win of the 2016 season. Interesting Fact about the Tournament: The Decatur-Forsyth Classic is the longest running tournament on the Symetra Tour. Summary of Last Year’s Tournament: In 2016, Sherman “Champagne” Santiwiwatthanaphong stared the ferocious wind straight in the face and carded a 3-under, 69, to win the Island Resort Championship by two shots at 6-under, 210. Santiwiwatthanaphong made a 50-footer on hole ten to seize control of the tournament and then hung on late. Interesting Fact about the Tournament: Each player receives a $200 arrival gift from the Island Resort Casino. They give the gift to showcase the economic impact of the Tour. Summary of Last Year’s Tournament: In 2016, Colombian Paola Moreno fired a final round 66, highlighted by a clutch 20-foot birdie putt on the 18th hole, to wrap up her third career victory on the Symetra Tour at the Tullymore Classic. Interesting Fact about the Tournament: 2017 marks the third year of this highly successful tournament. Tullymore GC can boast of being one of the few courses in the nation that has ever received a 5-Star Rating from Golf Digest. Summary of Tournament: The Symetra Tour Event kicks of a week-long celebration of women’s golf at the legendary Donald Ross Course, which is celebrating its 100 year anniversary in 2017. 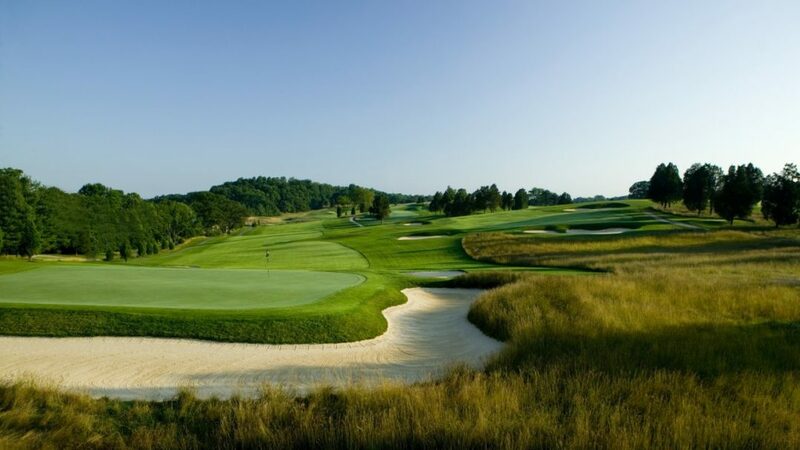 The inaugural Senior LPGA Championship will be played on the adjacent Pete Dye Course at French Lick Resort July 10-12th. Interesting Fact about the Tournament: The Symetra Tour’s 54-hole tournament will have a purse of $200,000 (second highest on tour) and features a winner’s payout of $30,000. Major Charitable Organizations Benefitting from the Tournament: Riley Hospital for Children, one of the top ranked children’s hospitals in the nation. Summary of Last Year’s Tournament: In 2016, Laura Gonzalez Escallon who played two of the most dominant rounds in Tour history, won the FireKeepers Casino Hotel Championship on Sunday as the tournament was shortened to 36 holes due to a severe storm in the area. Gonzalez Escallon lapped the field with rounds of 7-under, 65 on Friday and a new course record 8-under, 64 on Saturday to win her first Symetra Tour event at 15-under, 129. Interesting Fact about the Tournament: The FireKeepers Casino Hotel Championship served as the U.S. Qualifier for The Evian Championship in 2016 and both Gonzalez Escallon and Ally McDonald got into the major championship and made the cut. Major Charitable Organization Benefitting from the Tournament: This year, FireKeepers Casino Hotel will donate all proceeds earned from the event to The Haven of Rest. The Haven serves homeless men, male substance abusers, homeless women and their children, adult men with disabilities who need assisted living, and inmates of the Calhoun County Jail. Summary of Last Year’s Tournament: In 2016, Laura Gonzalez Escallon trailed by one shot heading into the 18th hole, but hit the shot of her life with a 56-degree wedge to a foot and made birdie to win the PHC Classic at Brown Deer Park on Sunday night. Interesting Fact about the Tournament: The PHC Classic will serve as the U.S. Qualifier for The Evian Championship in 2017. Major Charitable Organization Benefitting from the Tournament: Potawatomi Hotel & Casino sponsors numerous charitable organizations including their signature charity, Heart of Canal Street, which has donated over $16 million dollars to local children’s charities since 1994. Each year 10 Symetra Tour graduates earn their Tour Card, and their road to the LPGA Tour goes squarely through the Midwest! For more information on the Symetra Tour and how to purchase tickets to the above tournaments, visit www.symetratour.com.